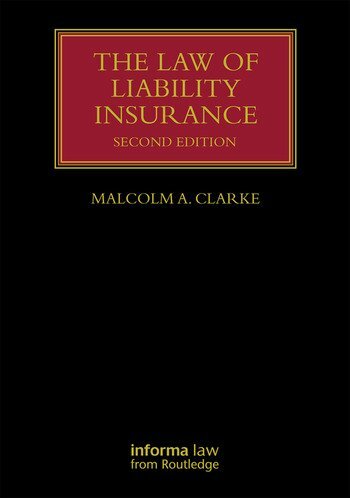 Now it its second edition, this book is an authoritative and comprehensive review on all aspects of the law that relate to liability insurance contracts. It aims to cover the all the major types of liability insurance, not just professional indemnity insurance, and presents the issues according to the general principles of contract law. Updated to include the impact of the Insurance Act 2015, the book takes a comparative view of the law, tailored to those professionals operating in a global economy, as well as academics and post-graduate students. Malcolm Clarke is a Fellow of St John's College, Cambridge and a Professor of Commercial Contract Law at the University of Cambridge.